assets, such as the crumbling entrance road to the park and the degraded Mara River. This will allow the river function to be restored and wildlife numbers to recover, making the park attractive to foreign visitors once more. EfD researchers invited to public hearing: "Policy processes provide windows of opportunity to discuss research results, highlight the importance of natural resources to the economy – and get impact," says Paul Guthiga. 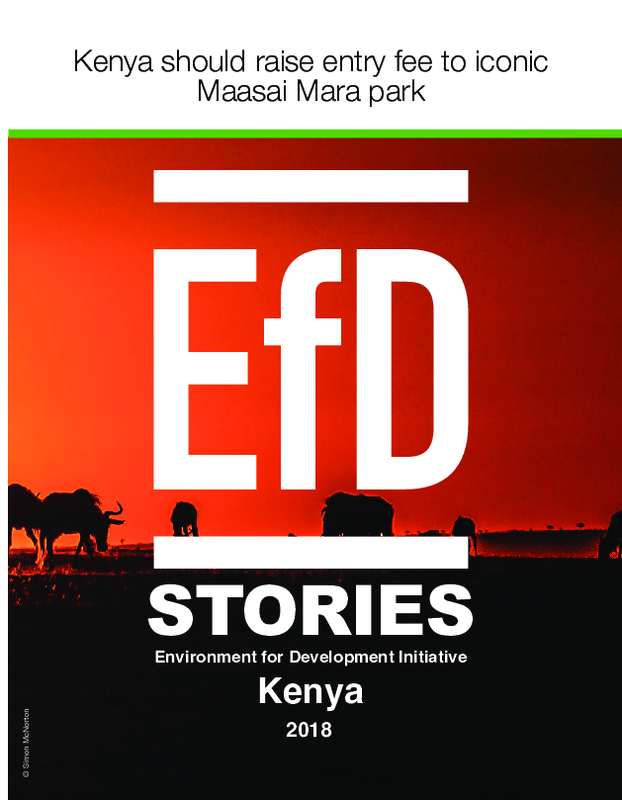 Guthiga is one of the EfD research fellows who were invited by Kenya´s Ministry of Finance to a public sector hearing held to discuss the draft budget proposal on Environment, Water and Sanitation for 2009-2011.